AMMONNEWS - Prime Minister Omar Razzaz, on Thursday, responded to a youth initiative that was launched via social media websites to convene a meeting that brings together the prime minister and a number of youth. The meeting aims at discussing a wide range of local issues. The three-hour meeting brought together 27 young men and women, representing various components of Jordanian social fabric, civil society institutions and activists. The premier stressed his government's faith in such meetings with youth, which will lead to better results pertaining to decision-making process. Absence of citizens' trust in successive governments, Razzaz said, is a problem his government aware of since its formation. Commenting on Bakura, Razzaz pointed out that this matter is related to Jordan's foreign policy, where his government is listening to people's opinions in this regard. With regard to the cyber crimes draft law, Razzaz said the bill is being discussed at the Lower House of Parliament before his government formation and the government can not amend it, adding that his government will have a clear position towards this issue. 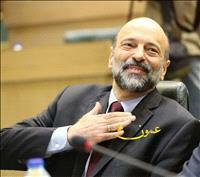 The new city project, Razzaz said, is a proposed venture that needs further study, transparency and dialogue. There is a committee that entailed to study the general pardon issue in a way that guarantees the balance between the state of law on one hand, and giving opportunities to a change in individual's behavior on the other, away from populist fashion, Razzaz said.